One of my favorite show-business lies is the “[big star X] did [obviously untrue feat Y]” claim, used to establish a star’s talent, grit, or authenticity. “They wanted to create this idea in people’s minds that Natalie was some kind of prodigy or so gifted in dance and really worked so hard to make herself a ballerina in a year and a half for the movie, basically because of the Oscar,” says Lane. I haven’t seen Black Swan and don’t really care whether Portman did the dancing. But despite Darren Aronofsky’s defense of Portman, I would bet a lot of money that Lane is telling the truth. This is just how the entertainment hype machine works. Consider Mission: Impossible II. … A back story was … scripted in which [Tom] Cruise was seen to be indistinguishable from Ethan Hunt, the acrobatic hero he played, via the claim that he, and not a stunt double, had done the free falls, fire walks, motorcycle leaps, and other perilous stunts that Hunt did in the movie. Arnold Schwarzenegger’s Surefire Comic Book Hit!!! The Black Swan tale doesn’t reflect on EW as a publication. Alas, their cover-story exclusive on Arnold Schwarzenneger’s post-governor plans is a bit more embarrassing. Stan Lee’s main contributions to comics and pop culture came in the 1960s and ’70s. His later career does not inspire breathless fandom. The idea is terrible! 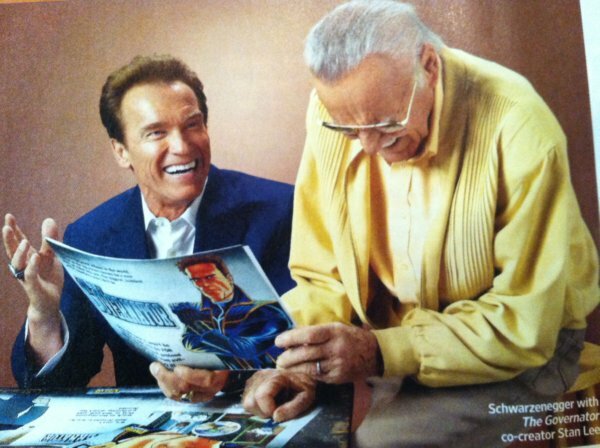 Here’s Stan Lee: “We’re using all the personal elements of Arnold’s life. We’re using his wife [Maria Shriver]. We’re using his kids. We’re using the fact that he used to be governor. Only after he leaves the governor’s office, Arnold decides to become a crime fighter and builds a secret high-tech crimefighting control center under his house in Brentwood.” Um, have they focus-grouped this? Do they really think Maria Shriver and gubernatorial experience resonate with kids? I’m happy to be proven wrong; kids have made successes out of far worse artwork and concepts. 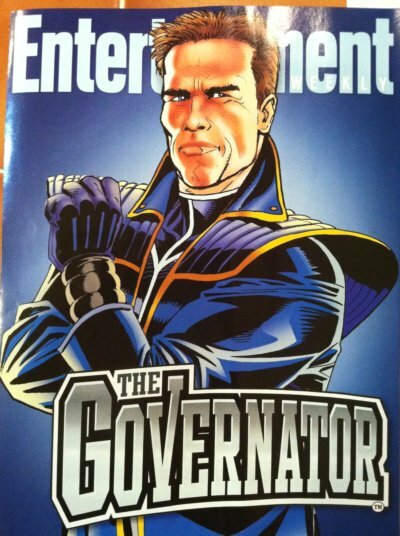 But Schwarzenegger’s publicist deserves a huge bonus for getting an EW cover out of this lame plan.